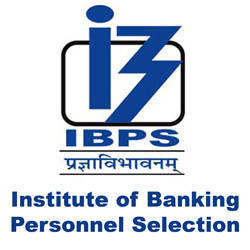 Institute of Banking Personnel Selection (IBPS) Published Recruitment Notification for Clerical Cadre (CWE Clerk - VII) Posts in Participating Organisations. View More Information like Total Posts, Posts Name, Age Limit, Qualification, Salary, How to Apply etc.. are Given Below. Qualification : A Degree (Graduation) in any Discipline from a University Recognised by the Government Of India or any Equivalent Qualification Recognized as such by the Central Government.